The New Humanitarian | Ebola vaccine: reason to be hopeful? News that an Ebola vaccine trialled in Guinea has proved 100 percent effective has elicited both excitement and caution from a range of actors closely involved in the outbreak, which also struck Liberia and Sierra Leone and has claimed more than 11,000 lives since March 2014. 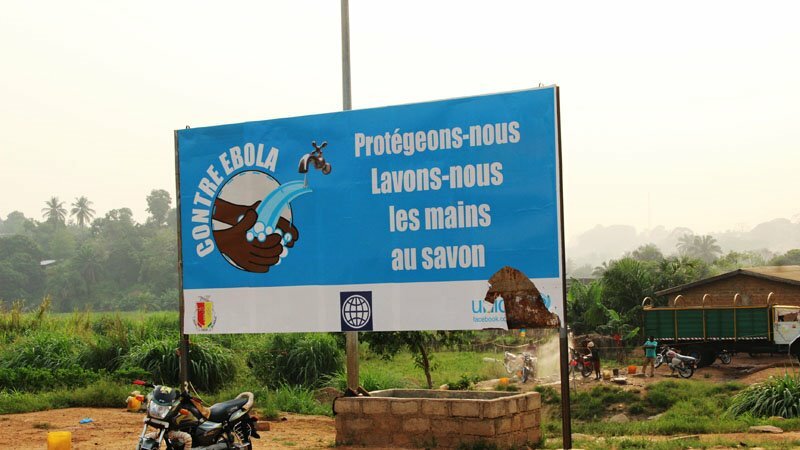 Some 1,200 frontline workers and 4,000 others who came in contact with the virus were vaccinated between 23 March and 26 July in Guinea, as part of a trial run by the World Health Organization (WHO), Médecins Sans Frontières (MSF) and the governments of Canada, Norway and Guinea. Research published today in The Lancet found that the vaccine, known as rSVS-EBOV, protected 100 percent of participants who were treated immediately after exposure. Experts warn that more data and research is needed to determine how much of a game-changer the vaccine is. It is unclear how soon the vaccine protects those inoculated against Ebola, how long the protection lasts, what side-effects the vaccine may have, especially on high-risk groups such as pregnant women and children.